No one has time to measure their food anymore, so of course, marketers have found a way to make watching your portion sizes easier. Here are some cool ways to measure your food without all the hassle. Dieting is hard work and measuring every bite makes it even harder. So we’ve created MESÜ®, a line of bowls that help you put an end to portion distortion, without signaling to the world that you are on a diet. MESÜ means measure beautifully™. Great design and subtle graphics let you measure perfect portions directly in a bowl that you bring to the table! MESÜ portion control bowls. A set of 6 white porcelain nesting bowls with pastel graphics. Freezer, oven, microwave, dishwasher safe. Free MESÜ fridge magnet included with every set! If you are looking for a way to use portion control on your plate without all the extra dishes; here is an easy way if you are limited on space and money. If you don’t eat breakfast cereal or soup, then all you need is the plate, it really couldn’t be simpler to lose weight! This method of weight loss is empowering, it teaches you very quickly to understand the impact and importance of portion sizes.” – Said testimonial Chrissie Hampshire. For those women who have under five stones to lose (30kg). There is no need to count calories, points or fat grams with this innovative weight loss method. By simply serving food hot from the stove to your Diet Plate ® and adhering to the measured boundary for starchy carbohydrates and protein all the counting is done for you – simply at the glance of an eye! No guess work involved. Lose 1-4lbs a week by swapping your regular dinner plate for this beautiful, fine earthenware microwave and dishwasher safe 11″ (28cm) plate. Eat whatever you love to cook – it accommodates any type of meal. Why not buy the Calorie Controlled Breakfast Cereal Bowl too? It completes The Diet Plate ® system. 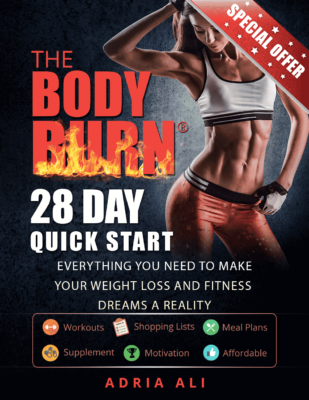 All products come with weight loss/cereal charts and instruction leaflets. This truly is “Portion Control Made Easy”! If you are a man trying to lose weight … then wait no longer! There is also a plate tailored to a man’s portion sizes as well! Keep in mind that portion control is great! However, don’t load the plate up with unhealthy carbs and fatty meats. Use the dish for lean meats, slow processing carbs, and vegetables that aren’t over cooked and loaded with fat!